My night started off with thoughts of jazz and beer. Brother Thelonious is great for both. Eventually I stayed up long enough to keep up with my latest hobby… Looking up. My kid calls Jupiter “daddy’s planet”, which lets me know the level of my geek is strong. 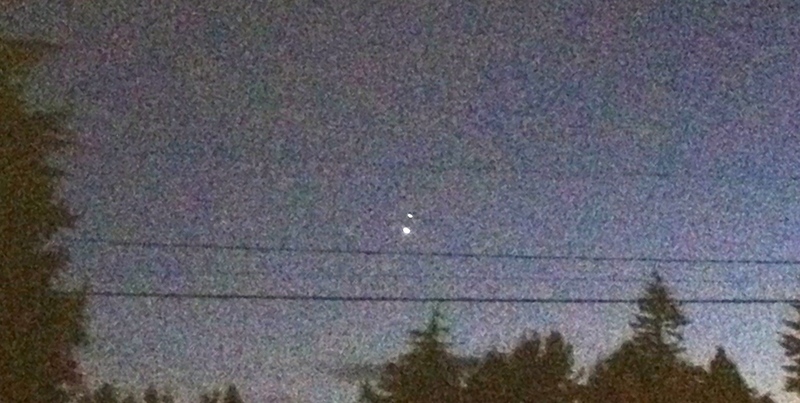 This may potentially be the last time I post about which planets I can see from my house. In general I feel the pictures I take with my iPhone does no justice to how cool I think this event is. The idea that I get to watch this pattern unfold before my very eyes is simply awesome. I think I’ll start saving up for a telescope. Perhaps my kid and I will enjoy looking up.